we are living in a comfort zone of technological knowledge. Scientists, engineers, technologists, etc are working round the clock to make daily survival convenient through technological advances. The high demand from customers to manufacturers to invent equipment that has the magical features capable of increasing lifespan. There are several changes in technological knowledge which our society has to adapt to because these technological advances will lead to positive impact into our daily survival as human being. Now these changes does not only restrict us from computers, mobile phones and modern transportation system but most importantly on home appliances such as portable air conditioners in particular. We cannot think of having a temperature of 40 to 50 degrees Celsius in places of Dubai,It would surely create trouble from citizens who always wants cool environment. The Hot temperature in Dubai makes feeling not pleasant and it is difficult to flow in work as sweating could do exhaust strength. So the major solution to this problem is making use of portable air conditioners constantly. There are different brands of portable Air Conditioners flooded in the stores of Dubai market competing against each other in sales. All of them claims to be the number1, but however Today, portable air conditioners is the preference to so many customers both at home and office as it is mobile that could be moved from place to another due to the fact that it doesn’t required breaking walls to place the unit. This particular brand of air conditioner has proven to be the best recognition based on the awards it has received since it enters the industry. Portable air conditioners are very good for people who want always be in a cooling environment without having to make a window installation space. These types of air conditioners are more convenient than window air conditioners and are very easy to operate. Most of them have wheels at the bottom that makes them easy to transport from one part of your home to another. It enables saving money because only the particular area you need is cooled. They can also serve as fan when there is none or less need for cooling at a particular moment and sometimes a heater function is included so that it can be used all year long, during summer and winter seasons. Portable air conditioners have simple configurations. There is a kind of box-like design that holds the cold and hot sides in one place. An exhaust hose removes the heat and water is condensed out of the air. The water is collected in an internal drain bucket or through a drain hose. 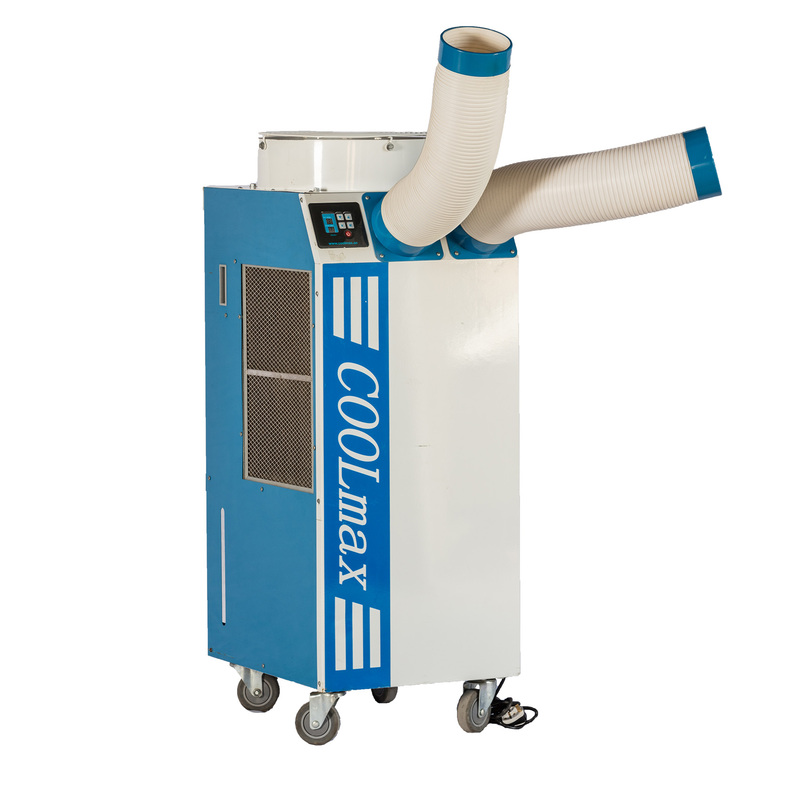 Some portable air conditioners use evaporative technology so that little to no water is produced. Portable air conditioners should not be kept to an external thermostat and it’s advisable to turn on fan mode once it is done working as an air conditioner for a cooling session. One of the very most important factor to consider when getting a portable air conditioner is the BTU rating. BTU stands for British thermal unit, which is a unit of energy used in power, steam generation and heating and air conditioning industries. BTU rating shows power and cooling capacities. It determines the heat that an air conditioner can remove from a room. The higher the value, the stronger the air conditioner. BTU ratings usually range from 5,000 to 30,000 and the size needed depends on the area being cooled. Measure the room dimensions by multiplying the length by the width. You’ll need about 30 BTUs per square foot of space. Check the actual size of the window opening. For each person over two in a room add 600 BTUs. Each person at rest adds approximately 230 BTUs to a room per hour. Copyright © 2019 spot A/C & Portable air conditioners Dubai. All Rights Reserved.